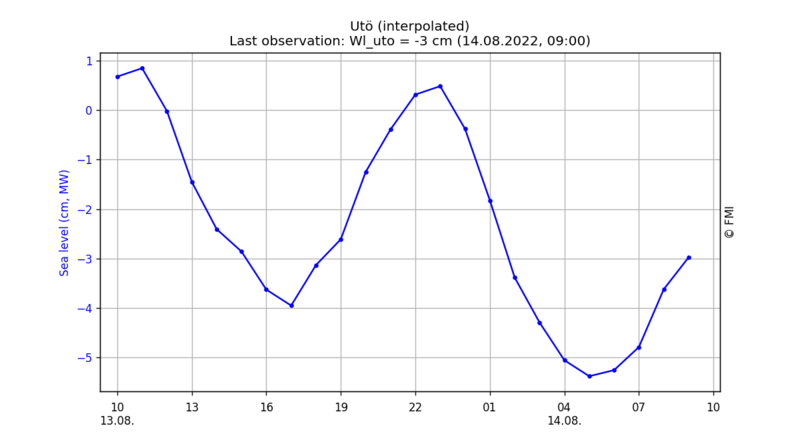 Sea level at Utö is interpolated from tide gauge observations at Föglö and Hanko. The values are given relative to the theoretical mean sea level (MW). Sea level observations from FMI tide gauges: en.ilmatieteenlaitos.fi/sea-level.